This Friday 8th July at 10 am we are going to hold a coffee tasting courtesy of our friends at Coffee Officina. Most of you will have tasted their excellent “Fiori” espresso blend but they have loads of interesting coffee from all over the world. 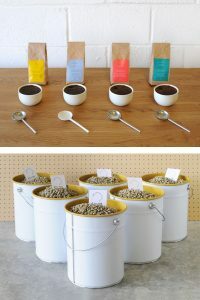 Each coffee can be brewed in different ways to suit it’s characteristics and so it will be interesting to learn more about that. I am going to put together plates of biscuits and cake to compliment the selection. The cost of the tasting is £8 including lots of coffee and cake and you can book via email or by phoning me. Hope to see plenty of serious coffee fanatics!